Below I’ve listed some products that I felt couldn’t go unnoticed, some great products below by some top guys looking to share their skills and help as many people as they can, I don’t get anything from these guys for the links, just paying it forward for all those who’ve shared my work. Delivered by the godfather of Excel in the sports science world, John Lythe, whose Youtube channel has amassed over 1,000,000 views, of his over 100 videos on everything a sports scientist or s&c would need to create amazing excel projects. 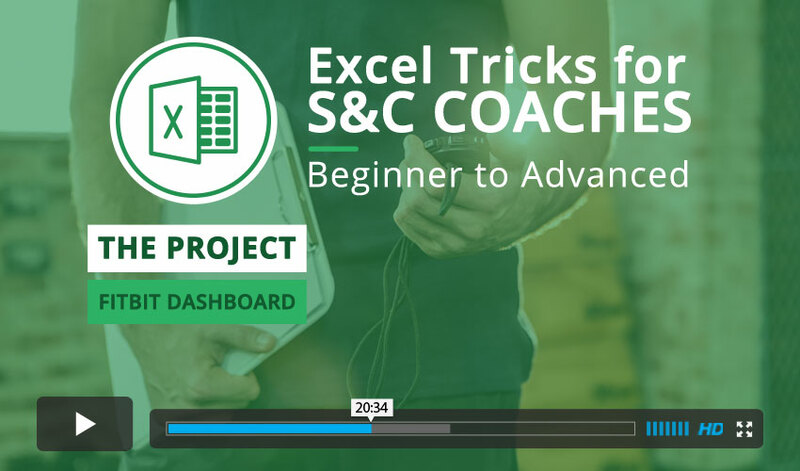 John has been an amazing help to me and cannot recommend this enough for the excel newbie! I have built some planners before, but not put nearly as much time into them as much as Dylan has with his Track & Field Planner – it’s really well organised with great visuals and a great instructional video which makes it easy to understand and navigate! A must for any track & field coach! I’ve taken a tonne of inspiration from Mladen’s work with Excel and couldn’t recommend these products enough, these have been refined over the years with four versions of his strength card builder alone!